The midterm elections are today, which means you have the opportunity to exercise your civic duty and vote. It’s a crucial election and the stakes couldn’t be higher, so many celebrities have taken to social media to encourage people to get out and vote. Taylor Swift practically set the Internet ablaze in early October when she broke her silence on politics. Her advocacy is reportedly one of the reasons voter registrations spiked last month, so here’s hoping all the celebrities who posted today inspired people to cast their ballots. 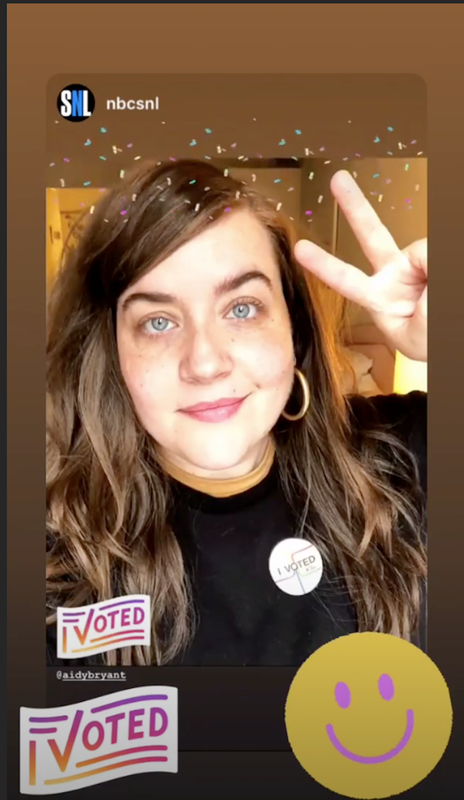 From Demi Lovato (who posted on Instagram for the first time since entering rehab to talk voting) to Leighton Meester, Viola Davis, and Adam Rippon, these 109 celebrities all rocked the vote and posted selfies to mark the occasion. Did you? The most important voice is yours. Please vote today!